From 1st October onwards, NDTV (New Delhi Television) will launch its new programme "SHUKRIYA". Most famous & well renowned personalities like Sushmita Sen, Farah Khan, Hema Malini & Rakesh Roshan will appear in the programme. The main theme of the story would be to thank the general masses, for their over whelming response & to help these celebrities for making their mark in their respective fields. Keeping in view the facility of it's customers, OM -TVS, the authorized dealer, situated in M.P.nagar Zone-II, has decided to extend the timings of their workshop from 8 a.m. in the morning - till 8 p.m. at night. This service will commence from 1st October. Huge responses have been received in a Grand sale, going on in hotel Surendra Vilas & Gandhi Bhawan. Brands like Adidas & Lee Cooper have received huge sales response. In outfits, especially trousers, sales have touched the heights. Trousers amounting to Rs.1200 & Rs.1800 are being sold at only Rs.500.Other than garments, foot wares are being sold at 60-70% discount. Ambajee Jewellers has organized a grand exhibition of diamond jewellery for the brand 'NAKSHATRA', at its showroom in Malviya Nagar. An exclusive and exquisite range of diamond jewellery is being showcased, the quality for which the brand Nakshatra is countrywide famous. VOLTAS HAS launched its .8-ton split AC at a prize of Rs. 15,990 that fits into the budget. Voltas Limited branch manager Sanjeev Tiwari said in a press release in Indore that last year company introduced .8 ton window AC that was successful in the market. The company has also introduced its new advertising compaign "Thande Dimage Se Socho" . The company plans to spend Rs. 20 crore this finanacial year. The State Government is planning to set up an ultra modern fruit and vegetable market in the city. The market would be designed on the same lines as the fruit and vegetable market in Banglore. The Government has zeroed down on a 40 acre piece of land at Karond for the purpose. The Jaipur based National Institute of Agriculture Marketing has initiated the groundwork for the marketplace. Mr. Bhagirath Patidar, Chairman of the Bhopal Krishi Upaj Mandi said, "A modern Mandi that would address the needs of the farmers as well as the traders is the need of the hour". The IDEA cellular Ltd. has brought a new offer to its prepaid customers. In the offer the customers will be able to make mobile to mobile outgoing calls for 99 paise per minute on the charge of Rs. 50 extra for 30 days. The Company would also provide additional talk-time worth Rs. 50 on first recharge. 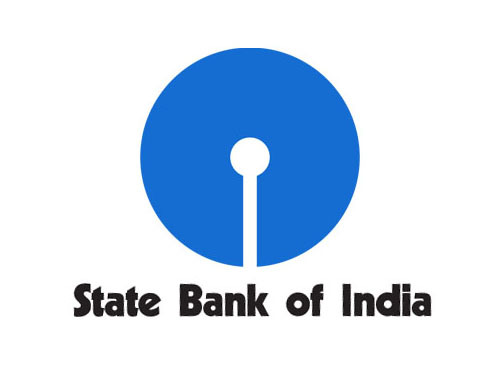 The State Bank of Indore started Home-loan Carnival in which all the 202 branches of the bank functioning in the Bhopal region are taking part. The newly established customer service centre of Touchtel at Shahpura was inaugurated by the Sales Gen. Manager of the Company, Shri Rakesh Shala. The SBI MP Nagar branch organised a doctors' meet at hotel Residency in which the doctors were brought to know the loan schemes & life insurance plans initiated by the bank for doctors. The meet was presided over by Shri B V Sarthi, Assistant Gen Manager, SBI. The BHEL has received an over Rs 197 crore order from the Gujarat Electricity Board to launch lignite-based 75mw project. In a function organized in the Hamidia-road-situated regional office of the SBI, the Deputy Gen manager of the bank Shri Ashok Gupta inaugurated the 'Hub & Spoke system' started by the bank. The Bharat Heavy Electrical Ltd (BHEL) has acquired a Rs.599 cr order of setting up a 250 mw unit in the new parley Thermal Power Station Extension in Maharashtra. The BHEL will manufacture steam generator, steam turbine & other auxiliary equipments for the project. With its Bhopal franchisee given a start in the city of lakes, India's biggest Human resources providing company 'Ma Foi' Management Consultants Ltd. will now serve in MP also. At the time of the Inauguration-function there was present MPIDC managing director Shri Raghva Chandra as chief guest along with the MaFoi's staffing solution chief Shri E. Balaji. Bharat Heavy Electrical Limited (BHEL) has got a mark of honour as it has been assigned with the prestigious responsibility of supplying electricity to the Indian Navy. This service will be provided to a Navy 'project seabird' running at Karwar in Karnataka.